A couple of weeks ago I attended a craft fair at Weedon Bec. What a lovely village and wonderful people. Everyone who walked through the door (and there were plenty) was happy and eager to chat, the hall was also lovely and bright and the volunteers who helped making teas/coffees and cooked some delicious cakes were all very friendly too so a BIG THANK YOU to Claire at Lady Luck Jewellery. Last Saturday I attended a local craft fair at Waddesdon Village Hall, the fair was organised by the Quainton Pre School, the event was lots of fun and hopefully raised lots of money for the school. 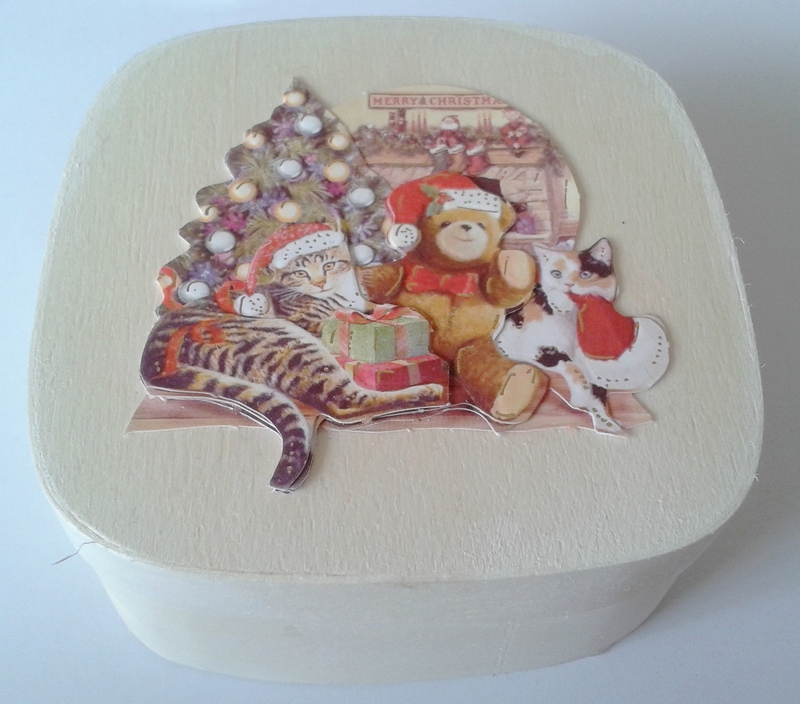 This Saturday you will find me at the Luxury Christmas Fair – Made With Love at The Waterside Theatre, Aylesbury, another event worth a visit. I had a lovely email from the GUBA Awards organisers. After the indifferent attitude given to me by the Riverside Park Plaza Hotel on the Embankment when I delivered the wine glass charms, I informed my contact at the GUBA Awards. It seems they had other issues with the hotel as well! And to top it all, my charms and other gifts supplied by more sponsors never even made it to the Goody Bags! On a more positive note, the goodies that did not make it to the Awards are being sent out to the VIPs with thank you letters and Christmas Wishes so all ends well. Following on from the MOBO Awards, I had a call from the GUBA Awards when they saw photos published on Facebook by the MOBO Awards. 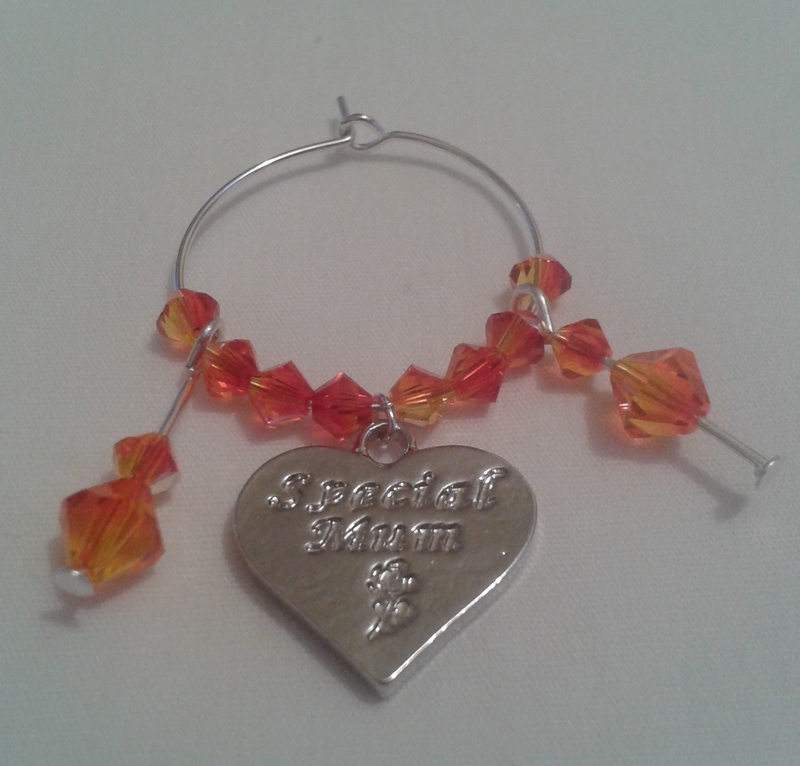 I agreed to supply then with 150 wine glass charms for their VIP Goody Bags. I had less than 1 week to make, package and deliver them. I decided a trip to London to deliver would be safer than posting them and I looked forward to meeting someone from the team when I handed them over. Boy was I disappointed! Although they were answering my tweets and looking forward to be delivering, when I arrived at the Riverside Park Plaza Hotel, Embankment, London the Consierge RELUCTANTLY called the hotel’s events Organiser who was not even involved with the GUBA Awards, I had the name of the person to deliver to but he would not contact her! The Events person who came to collect them did not even say thank you! I handed over £450 worth of DONATIONS and that was all I got! 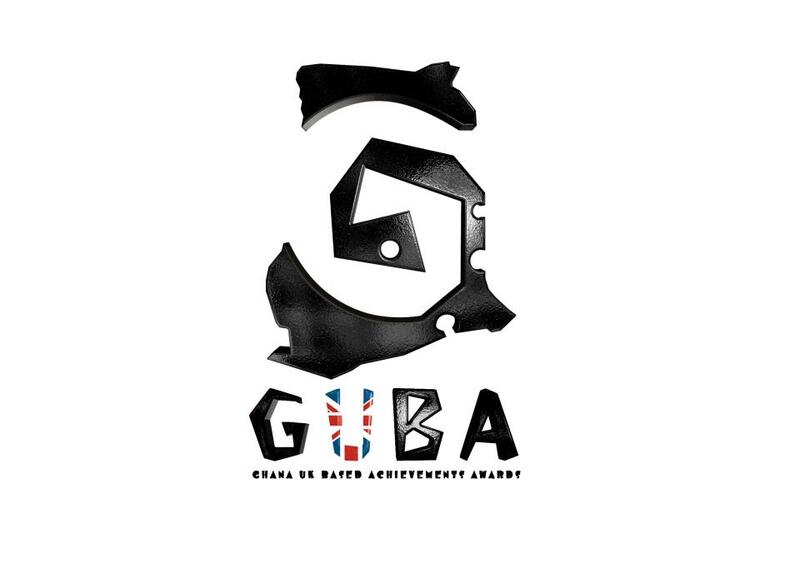 I tweeted to @GUBAAwardsUK after I stepped outside the hotel and did get a reply but I am guessing they may not have even been told by the hotel or even seen them at that point! I was offered a complimentary ticket to attend the awards tonight but I not able to attend due to other commitments. I am not on the website as a sponsor or even mentioned on Facebook! Oh well – you live and learn. Good morning all – I have had an eventful couple of weeks! I forgot to attach some photos from the MOBO Awards charms so have added them to here. They were such lovely people, they made us feel welcome when we visited the Echo Arena, Liverpool, and thanked us for everyone’s beautiful donations from Ice The Cake. WOW! What an eventful couple of weeks! A VERY BIG THANK YOU TO Sue at Ice The Cake who contacted us all to offer us the chance to supply items for the MOBO Awards ceremony! 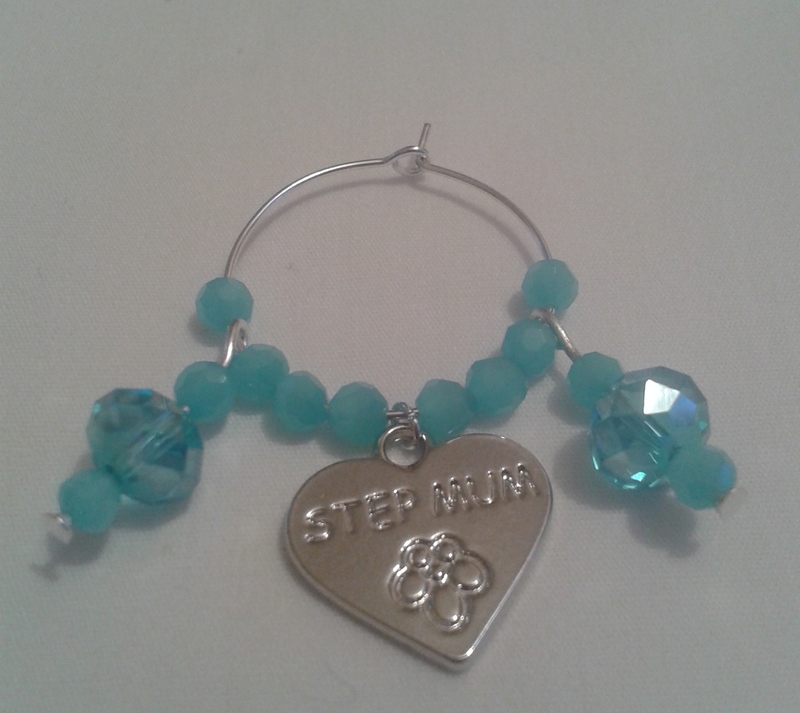 I agreed to supply wine glass charms for the goody bags going in the dressing rooms for the stars. After confirming quantities I then contacted the brilliant Lewis from Prin2u! to organise cards, with the MOBO logo, to be used for packaging the individual charms. Having spent several frantic days making 150 wine glass charms, mum and myself, Emma from Signature Flowers and Shelly from Cakes by Shelly all took a drive up to the Echo Arena, Liverpool to deliver loads of goodies. We briefly saw Haley Jane who had just finished delivering her items and I am sure there were others before and after us. We met the lovely Junior Mulumba on arrival and unloaded all of the items with the help of some lovely strong lads. We were privileged to go behind the scenes and meet the team working industriously. We also met the lovely Emma Riley who was busy ensuring everything went smoothly. Before I was even home the team had posted photos on Facebook of some of the lovely items we had just delivered. I would like to give a BIG THANK YOU because the photo of my charms produced a phone call Friday morning from a lovely lady at the GUBA Awards asking if I could supply some for their VIP Goody Bags! WOW! So now I am spending every spare moment making another 150 charms! So who else was watching the MOBO Awards last night? I know many Ice The Cake suppliers were watching! We were all tweeting and looking out for the lovely items we supplied for the goody bags going to the VIP and Dressing Rooms, table decorations and cupcakes, cookies and lollypops, and much much more! My wine glass charms were destined for the goody bags going in the dressing rooms so am hoping there are a few stars who are now looking at them with a smile on their face, having already eaten the cupcakes, lollies, chocolates and admired the table decorations and flowers they have also taken home. Here are ITC Suppliers who sent items to the awards. Lots of preparation going on for the fabulous MOBO Awards this weekend! Our deliveries mean they now have even more to do before the stars and special guests arrive on Saturday to find out who has won which awards.